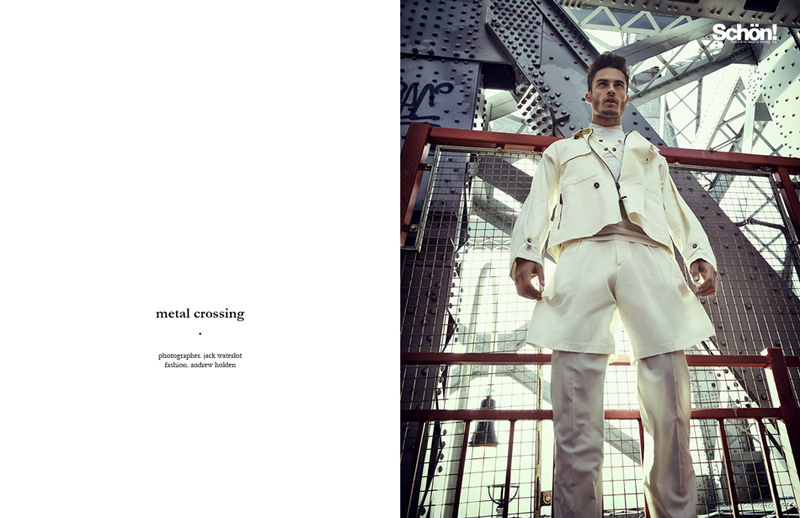 The metal crossing presents a young urban man embarking on a dynamic journey. 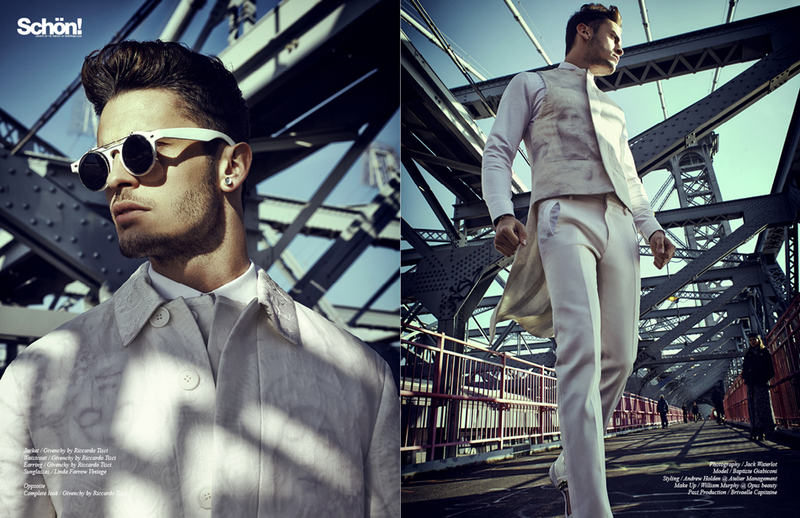 The man in question is one of the world’s top models, Baptiste Giabiconi. 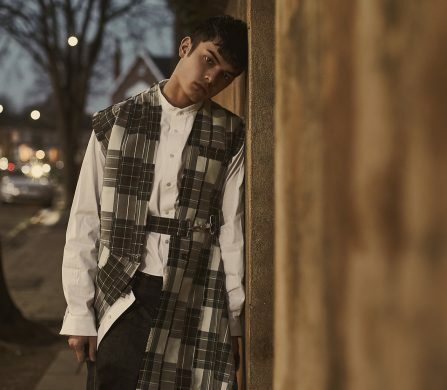 Styling by Andrew Holden explores casual, preppy and tailored looks along the way. The soft grey, cream and black hues set off the finished look, which is bold and pure against the industrial, metallic crossing, captured in striking angles by photographer Jack Waterlot.